Have you ever seen a project and known you had to make as soon as possible? I saw this pin for a baby blanket, figured out the sizing & yarn needs for a bigger size, and headed to the store the next day. 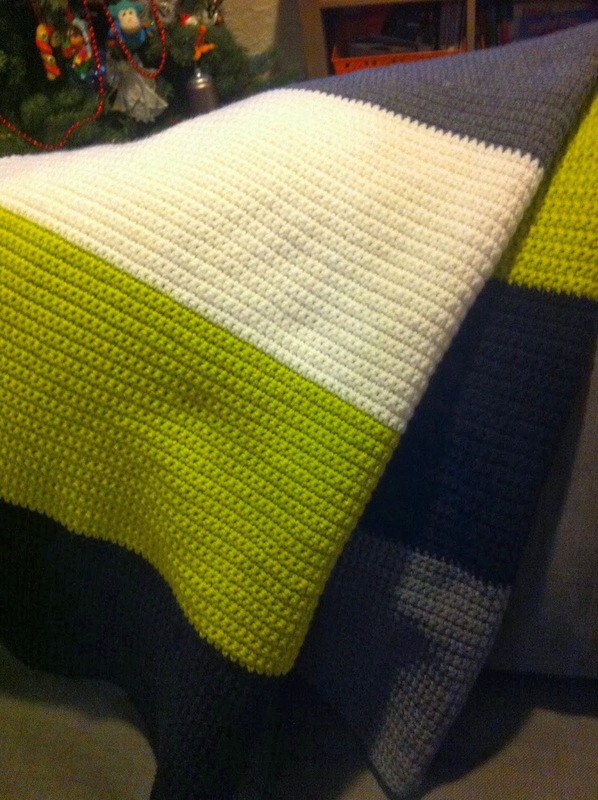 The blanket was a Christmas gift (and it was a little late), so my photos are not in ideal lighting, but I loved this project so still wanted to share. It was a super project to work on when the kids needed my partial attention (like reading to me or giving them spelling quizzes) or while watching tv. 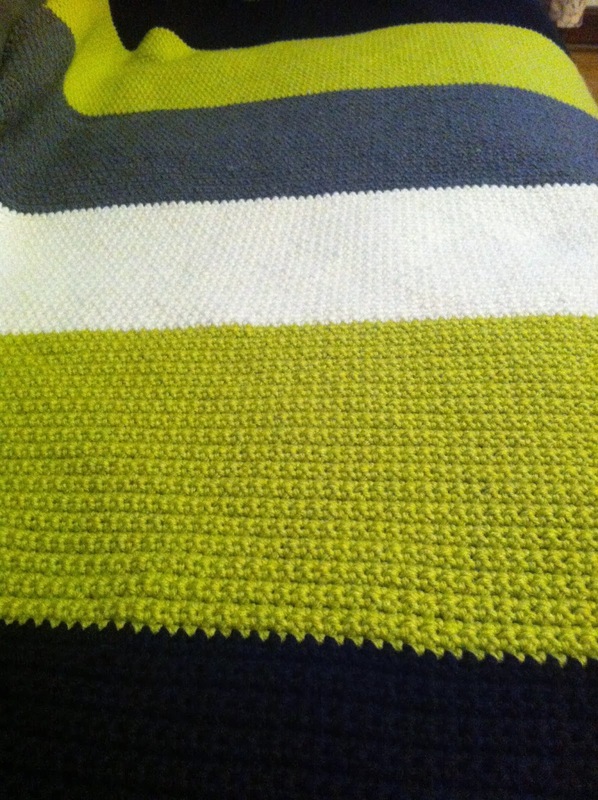 I used 7 skeins of Impeccable in black, chartreuse, white, true grey (I love this grey! ), chartreuse, black, and true grey. 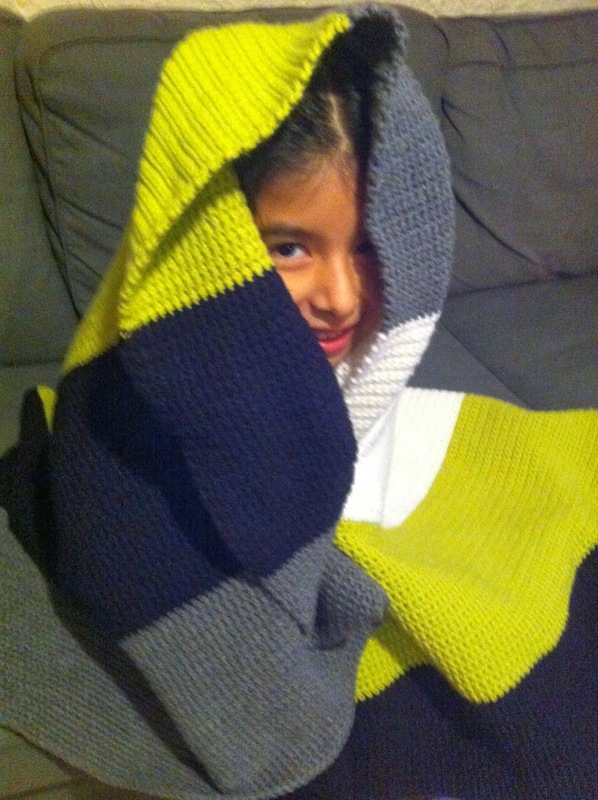 The best part of this blanket is you just use up each skein and then switch to the next one. Once you are done with the initial row, there is no more counting. I loved the colors I picked out, but I think Matt might have loved them even more. He was definitely not happy when this one got boxed up to mail (although that could be because I keep making blankets for other people).